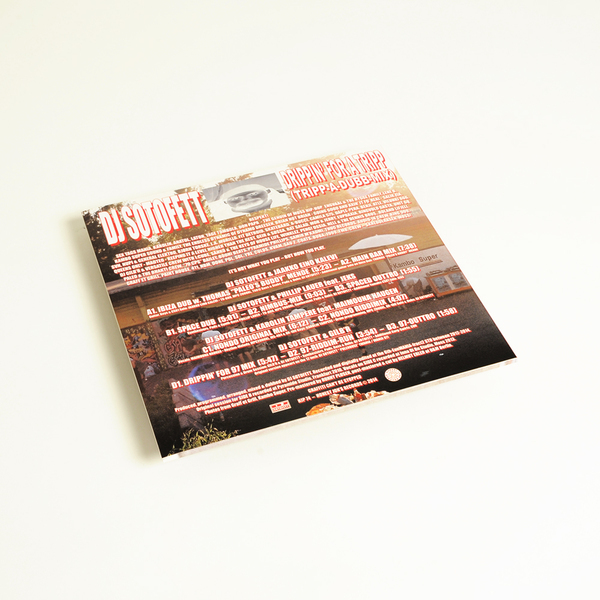 DJ Sotofett plays out a pack of deepest house aces on his debut album, accompanied by Gilb'r and Phillip Lauer, plus some jazzy Finns and an angleic voice from The Ivory Coast. As you might expect, there's no fuss and no fight to 'Drippin' For A Trip (Tripp-a-Dubb-mix)'; it's a laidback, party-friendly showcase of Sotofett's seductive charms and easy way with a collaboration, whether keeping the sun up with the tribalised drums and colourful bird calls of his 'Drippin' For '97' side with Gilb'r (a.k.a. Chateau Flight), getting his deepest New York smush on with the weightless beauty of the 'Space Dub' and Nimbus Mix' with Phillip Lauer (a.k.a. Tuff City Kids), or linking with Jaakko Eino Kalevi for the New Age-meets-Afrobeat sweetnuss of the 'Ibiza Dub' and 'Main Bar Mix' side.